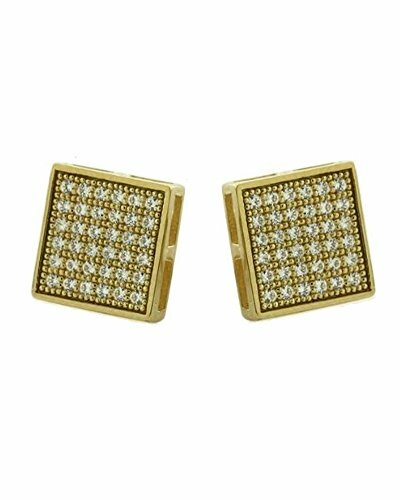 These designer inspired stud earrings are made of gold-plating on solid .925 sterling silver. Lots of sparkle are produced by a magnificent micro pave square kite cz cubic zirconia setting. UNISEX. FOR PIERCED EARS ONLY. Available sizes: 5mm x 5mm, 6mm x 6 mm or 9mm x 9mm. If you have any questions about this product by iJewelry2, contact us by completing and submitting the form below. If you are looking for a specif part number, please include it with your message.